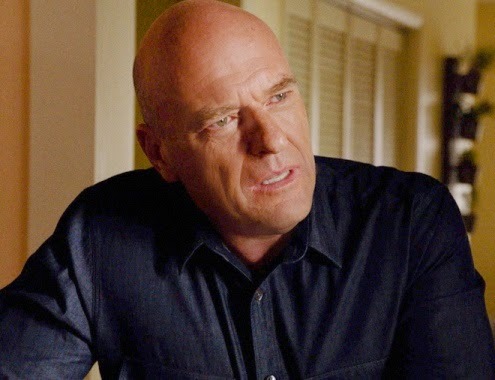 Under The Dome just gets better and better! 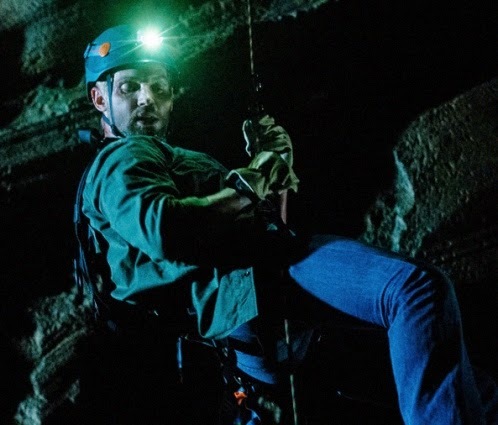 What do you think they will find in the tunnel? Looking for a fun way to spend Labor Day? Here are some fabulous Texas destinations for you and your sweetie, or take the entire family! 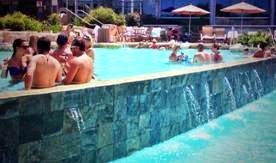 Lakeway Resort and Spa’s Labor Day Weekend Celebration August 29 – September 1 is the perfect way to end the summer! The resort is known for its amazing pools and will host many fun activities poolside and along with kid’s activities at the Kid Zone. For more information on the Labor Day weekend festivities, including times and locations, click schedule. Labor Day activities and pool access are for guests only; rooms are limited, so book your stay today at www.lakewayresortandspa.com or email lakeway@lakewayresortandspa.com. Check out this other great offer! 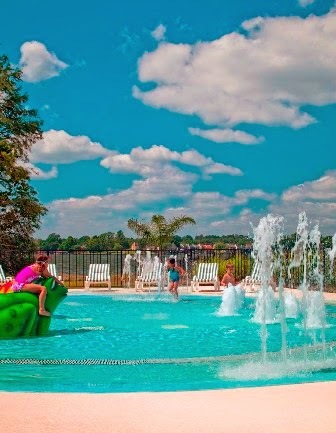 For Labor Day Weekend 2014, the more families play at La Torretta Lake Resort & Spa on Lake Conroe, the more they save. 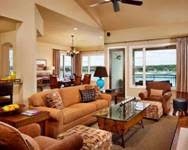 The AAA Four Diamond lakeside Texas resort is wrapping up summer with its money-saving, “Play More, Save More” offer, valid Labor Day Weekend, when guests can save 20 percent on a two-night stay and 30 percent off a stay of three nights or more. 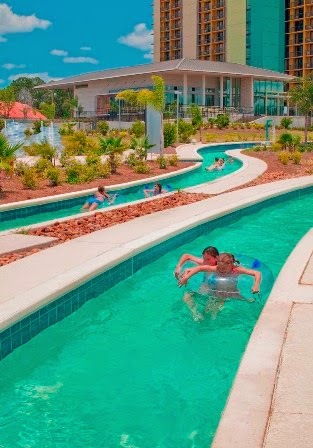 To secure the resort’s “Play More, Save More” savings, go to www.latorrettalakeresort.com and enter the promo code PLAY. Or call 936-448-4400. 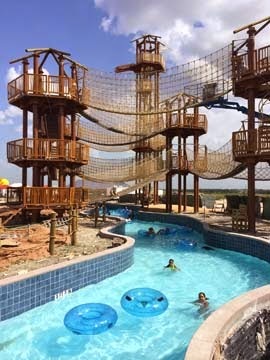 The all-suite resort on Lake Conroe offers families an amazing water park with multiple pools, Lay-Z River Rapids and twisting water slides, miniature golf, 18 holes of championship golf, and new this year, paddleboats and kayaks on Lake Conroe. Its all-new lake experiences includes stand-up paddle boards and kayaks on Lake Conroe, available for rent by the hour, just steps from the resort’s Aqua Park Breeze Buster pool, Splash Scape pool with in-water playground and the Pollywogs pool for small children. When out of the water, families can enjoy La Torretta’s miniature golf course, beautifully landscaped, lighted for night play; five lighted, hard-surface tennis courts, indoor racquetball courts and a spacious fitness center. Clubs, racquets and balls are provided at no charge. Or, relax on the resort’s private white, sandy beach where kids can build sandcastles and enjoy the lakeside view. 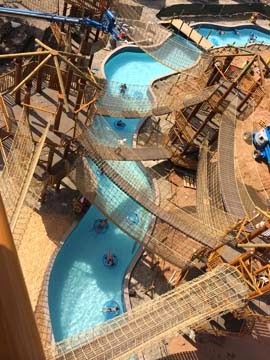 A number of free resort activities especially for Labor Day Weekend also are planned including the official naming of the resort’s new mascot, temporarily known as Lay-Z Duck. The naming ceremony follows a summer-long campaign and online public vote to determine the furry mascot’s permanent name. At the Spa at La Torretta, guests enjoy a spacious retreat where private bathhouses, Shiatsu massage chairs and a soothing Relaxation Lounge surround a Zen-inspired garden provide the ultimate in relaxation. Treatment options include the Spa’s new bamboo treatment where a bamboo cane is used to provide a deeper, firmer massage. The resort’s on-property 18-hole championship golf course is a fun, yet challenging layout winding through the East Texas piney woods. The course was re-designed in 2007 by renowned golf course architect Jeffrey Blume. La Torretta’s luxurious guestrooms offer the finest amenities including deluxe linens, 42” flat-screen TV’s, a private balcony and sweeping view of Lake Conroe. Lake Villas and Golf Cottages also are available for an additional charge. La Torretta Lake Resort & Spa is located at 600 La Torretta Blvd., 12 miles west of i-45 off Highway 105. The resort is operated by Interstate Hotels & Resorts (www.interstatehotels.com), the leading U.S.-based global hotel management company. Moms: Discover Proven Steps to Creating Balance In YOUR Life Today! I’m so excited to invite you and all the moms you know to a FREE event – “Mastering Motherhood Summit” – an online interview series for moms that delivers practical and actionable solutions to create balance with Home, Family and Business. 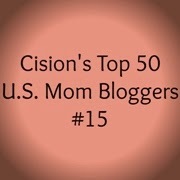 I am so proud to be part of this movement to support busy moms in creating balance while juggling so much! If you’re a mom wanting guilt-free “ME Time”, re-connect with your spouse, rejuvenate your passion for life doing what you LOVE, manage everyday chaos of Motherhood – or - simply want to get back on the priority list – This event is for you! If you are a mom – you already know creating balance managing all responsibilities as a mom, wife, career women and everything in between is one of the greatest challenges every mom faces. Managing “it all” can feel overwhelming and exhausting - Somewhere in the process we end up last on the list. Mastering Motherhood Summit provides the tools to help you change this. This summit is all about creating a unique balance that works for you! The experience of motherhood could be the most amazing experience of your life, it may also evoke a range of feelings that you have never felt before. You may feel ill-equipped to deal with mom-guilt, overwhelm, and might even feel your life is out of control. Maybe your intuition is telling you to make a change, take action and control of the major aspects of your life but you are unsure where to start. My friend and colleague Janet Barsotti is on a mission to help moms around the globe by creating a movement she calls “Sisterhood for Mommies”. She is passionate about helping moms navigate through everyday chaos, fall in love with life, re-discover themselves and LOVE every minute of Motherhood. 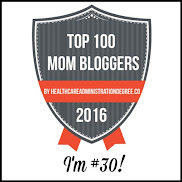 This is why she created Mastering Motherhood Summit FREE interview series. You will walk away not only feeling that you can have it ‘all’ but also have the tools to change your life and have true balance that includes YOU on top of the priority list. Discover how you can manage stress, your household and relationships. You can start to feel sense of balance, get re-energized and learn to carve out guilt-free “Me time” immediately by registering for this event. Create the balance and harmony in home, family and business. As Modern day moms we need tools to tackle it ‘all’ with ease, joy and without feeling overwhelmed. It’s time to eliminate stress and create essential balance in all areas of your life. Don't miss a moment of the joys of motherhood. 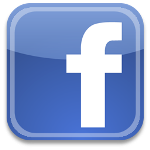 -----> CLICK HERE to Register for FREE! Join me and 20 other leading experts who will offer solutions to creating balance, provide inspiration, encouragement and actionable strategies you can implement immediately into your busy life to create balance and harmony. Each expert is giving away FANSTASTIC FREE GIFTS that will jumpstart your journey to a newly balanced life! 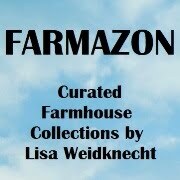 I look forward to joining you for this exciting series! Kohl's is your one stop back to school shop, with clothing for the entire family, plus this year they've teamed up with Office Max to offer school supplies in Kohl's stores! Read my post HERE to check out our back to school shopping trip at Kohl's! Thanks to Kohl's, I'm giving away a $100 Kohl's Gift Card to help you with your back to school shopping! Just enter below! 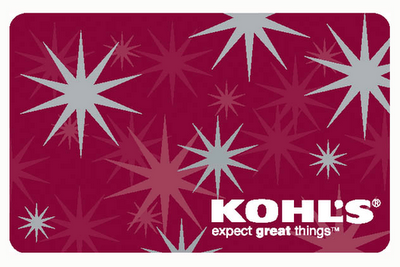 Win a $100 Kohl's Gift Card! To enter, just fill in the Rafflecopter form below. Giveaway is open to US residents, ages 18 and older. You only need to complete the mandatory entry to be entered to win, but if you do the bonus entries you'll increase your chance to win this fabulous prize! Giveaway ends on 8/15/2014. Good luck!